Now I have all the elements in place (semantic HTML5, typography, copy) in place I can start to think about the visual styling and decoration. "DontCodeTired's colors are clean and mostly understated. Where color highlights are needed they are saturated and bright. Solid blocks of color are preferred to gradients." This step is about creating a set of colors that will work together in the design. Color is a powerful tool that will set the overall tone of the site. There is a whole psychology of color which I would love to learn more about, but this color wheel gives a good idea, what's really interesting is the cultural-specific attitudes to colors. As we want a sense of friendliness, the first color to rule out are the reds. Reds signal danger (for example blood is red) so it's a very strong color and according to the color wheel is also associated with aggression. The knowledgeable and honest traits suggest pinks (truth), purples (wisdom), blues (wisdom) and browns (credibility). Comparing these candidate colors to the style attributes above (particularly bright and saturated) rule out the browns. The honest brand trait leads us to pinks (truth), yellows (honor) and again browns (credibility). 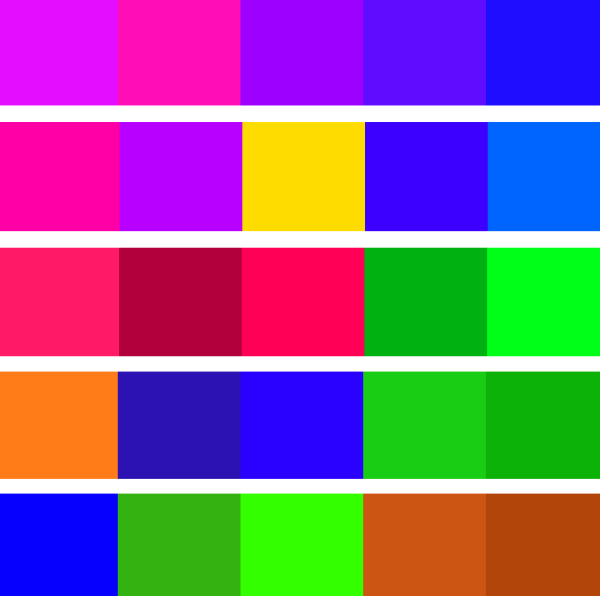 Using a tool like Kuler I can now start to put together some color swatches. Interestingly, when playing with the different color rules some of the colors I had thought not to use appeared, such as browns and greens. I think it's important to remain open-minded throughout the design process so it's ok to explore variations. In the case of the greens I think this still fits into the overall feel I'm trying to create and the greens bring a sense of nature to the design. This natural feeling is somewhat at odds with the digital style attribute I outlined above, however I think the 2 can co-exist and the greens may offer a nice counterpoint. Whilst there is a bit more contrast in this it still doesn't feel right. I know that is a very non-technical description, and I'm sure I have violated numerous color rules, but it doesn't feel very integrated and feels to me somewhat confronting or distant or disingenuous. The awesome SASS let's us define variables, which includes variables to represent colors. The first colors that need defining are the default background and foreground text. The background will be pure white, with the foreground text being an almost-black (to soften and slightly reduce the contrast) and make text a bit easier on the eye)..
Up until this point I've been using an Acer monitor plugged into my Lenovo X220T as my main screen for Kuler and playing with colors. An interesting thing happened why I viewed the colors on a physical Windows phone and on the laptop monitor. The colors were really different, with what I though were purples coming out as pinks. This again highlights the importance of testing on actual devices early on. Up until this point I've mostly been doing in-browser design, i.e.using HTML and CSS to create wireframes\mockups. This enables early feedback of any potential browser problems and means that rendering of text is more realistic than if a graphics program is used. At this point it makes some sense to open up an image editor (for example the free Paint.NET and throw around some colors. I added in the Kuler colors into Paint.NET palette as custom colors and then played around with different combinations just to get an initial feel for how I wanted to use the 5 colors, plus black and white. Out of these three color concepts I've chosen to go with the right most one initially. The great think about using SASS color variables is that it's going to be super easy to change colors if I change my mind later. So now I have a color concept I can think about a logo. I am not a graphic artist, so I am going to stick with a basic text-based logo which will work out better for everyone concerned. To allow me to 'generate' logos at different sizes with no loss of quality I need to use a vector based format, rather than bitmap format. The free Inkscape allows creation and saving of vector based images in SVG format. The added advantage is that I might choose to use a native SVG file in the browser rather than rendering down to a raster image like a PNG.